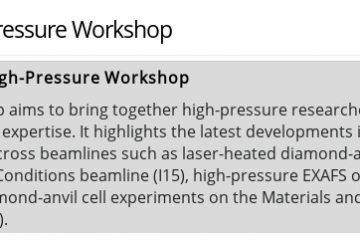 S. Merkel gave an invited presentation at the Diamond Light Source workshop on high pressure research, in the UK. 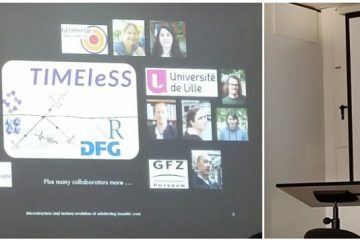 The workshop aims to bring together high-pressure researchers with different experimental expertise and to highlight the latest developments in high-pressure techniques across synchrotron beamlines. S. Merkel gave a presentation entitled “In situ study of phase transformation mechanisms using multigrain crystallography“. The presentation was an opportunity to present the science at the foundation of the TIMEleSS project, its objectives, and some results. Matthias Krug and Frederica Rochira gave presentation in front of their institute in Münster. 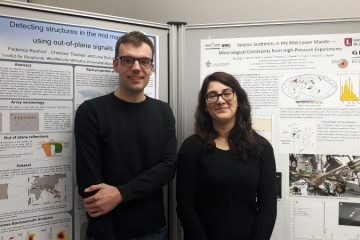 Matthias presented his work on Jan 8th and Frederica on Jan 21st. These presentations were an opportunity for the students to display their works in front of their colleagues, get feedback, and new ideas for their project. The Fall Meeting of the American Geophysical Union is ongoing in Washington, DC. 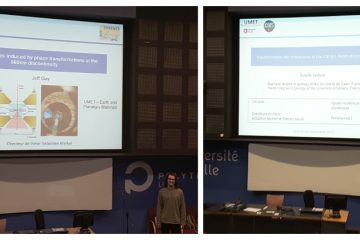 TIMEleSS PI Sébastien Merkel is attending the meeting and will present one TIMEleSS related poster, Multigrain Crystallography Study of Phase Transformation Microstructures in Deep Earth Minerals : Application of the Perovskite to Post-Perovskite Transformation Sebastien Merkel, Christopher Langrand, Nadege Hilairet Wednesday, 12 December 2018, 13:40 – 18:00 Convention Ctr – Hall A-C (Poster Hall) See you there! 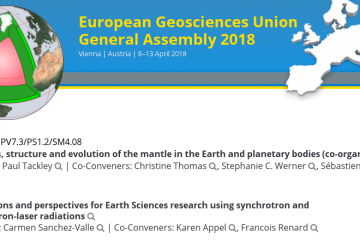 TIMEleSS PI’s will be at EGU 2018! TIMEleSS PI’s are calling for abstractsat EGU 2018! 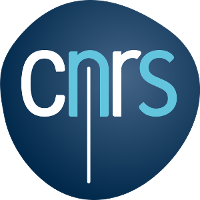 Look for session sessions GD3.1: Dynamics, structure and evolution of the mantle in the Earth and planetary bodies GMPV1.8: Applications and perspectives for Earth Sciences research using synchrotron and free-electron-laser radiations Deadline for abstracts submission is tomorrow, Wednesday 10 January 2018, 13:00 CET. Hope to see you in Vienna !